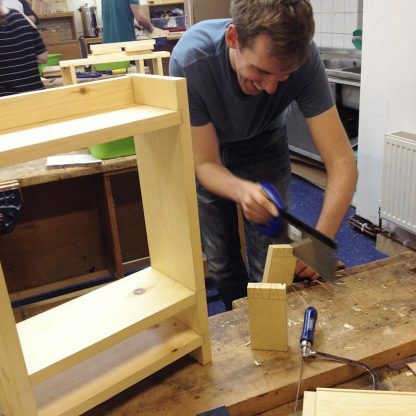 This course encompasses both the Level 1 and Level 2 Woodwork Joinery for Beginners courses and is taken over 10 days. 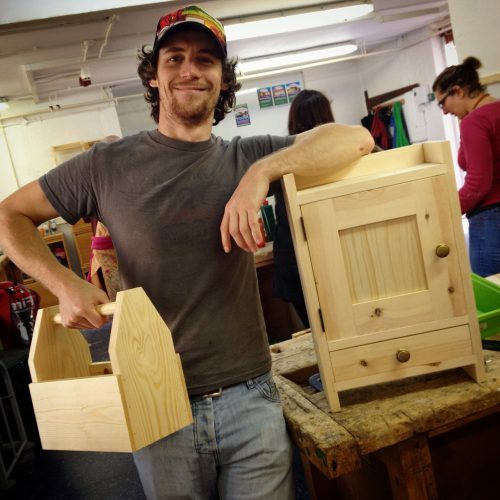 It involves making a softwood tool box using corner rebate joints and a softwood cabinet with a drawer and shaker style door using housing, dovetail, ploughed grooves and mortice & tenon joints. 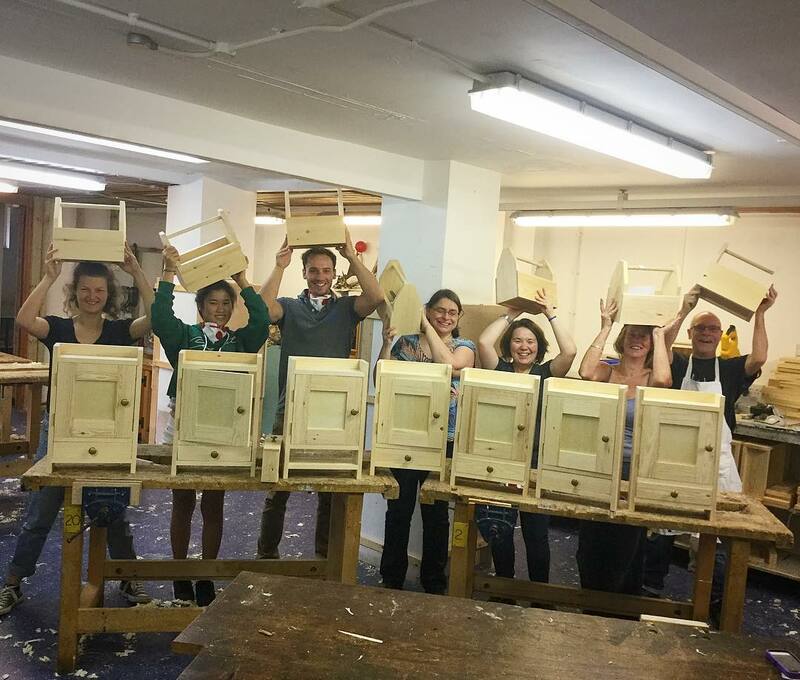 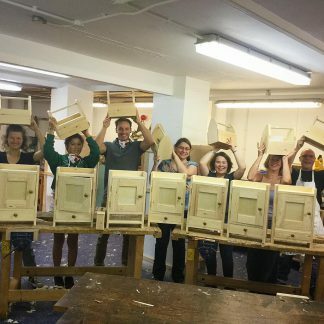 At the end of the 2 weeks (4 modules) you will take home your tool box and finished cabinet along with the techniques & confidence to start designing & making your own projects. Joints: corner rebate and groove. 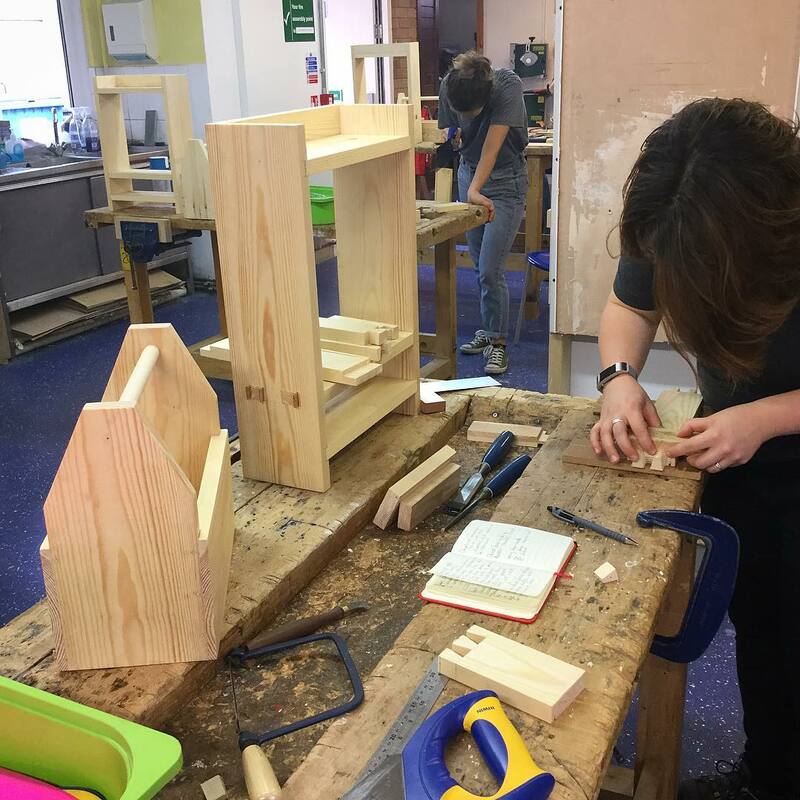 Joints: through housing, through mortice & tenon and dowels.